There are lots of Photoshop actions and effects that are available for free download. The problem is that most of the free actions are low quality. In this post we’ll showcase some of the amazing ones so you won’t have to spend hours searching for them. The actions has been tested and working on Photoshop CS3,CS4,CS5,CS6,CC+. Premium HDR Photoshop Action Pack. 25 most wanted photo effects. Quick Render is available to help you find the best effect faster. Just 1 click to render 25 color styles, Easy to use and edit. Works for any photo size. This action has been tested and works on Photoshop CS3, CS4, CS5, CS6 and CC. Create advanced looking designs from your photos with little effort. After the action has completed, you have full control over each layer to adjust the design how you like. The layer structure is well organised with color coded groups/layers and named appropriately. 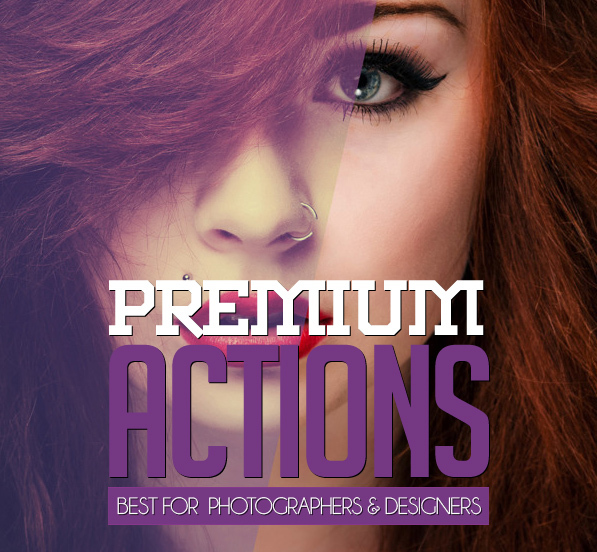 Premium Actions Set is the Vol.2 of professional Photoshop actions perfect for photographers and graphic designers. All they have been created with precise calibration adjustments to bring your images to life using powerful tools & professional methods. Stunning photography actions all bundled up in a nice, discounted pack for you to use on your amazing photographs. Digitally enhance your photos, add retro photo effects, and even add subtle effects that make all the difference! Photography Actions Bundle is the perfect bundle of beautiful photo actions for your newest photographs! Great PS actions. Most of the stuff that I learned in Photoshop was actually reverse engineering other peoples actions. I can see the cause and effect of using certain adjustment layers and what effect it has after I tweak and re tweak it.